This may answer your earlier question about availability of photos/videos. 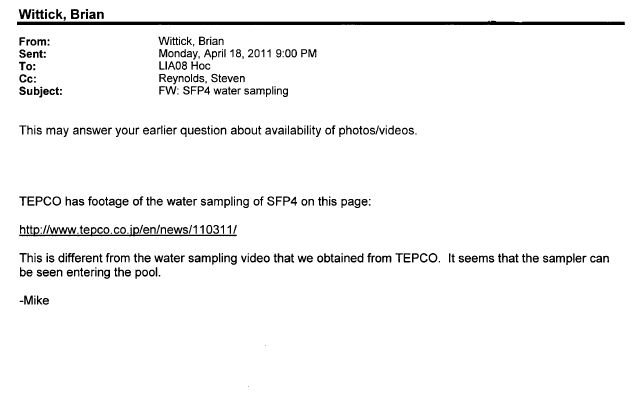 This is different from the water sampling video that we obtained from TEPCO. It seems that the sampler can be seen entering the pool. April 18th, 2011 – Has anyone seen still photos or videos taken by helicopter at Fukushima?